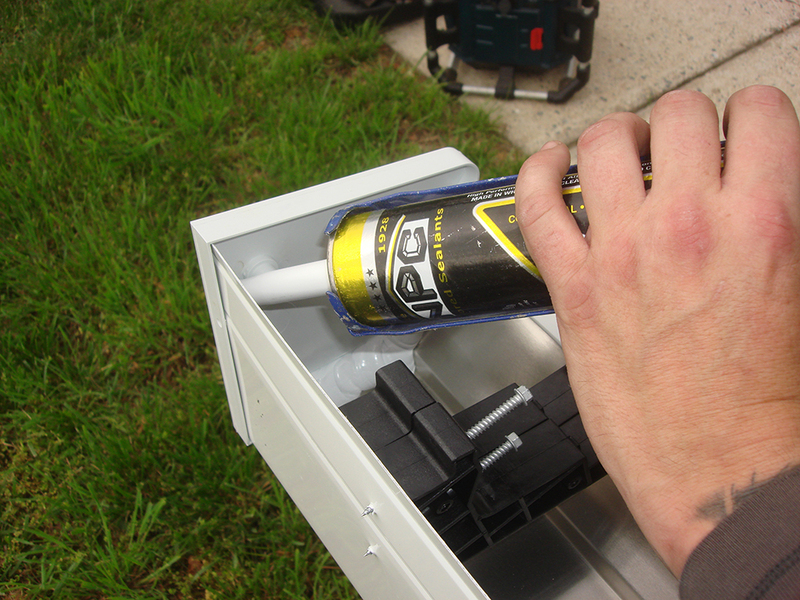 Forget snap-on gutter covers, guards and screens. 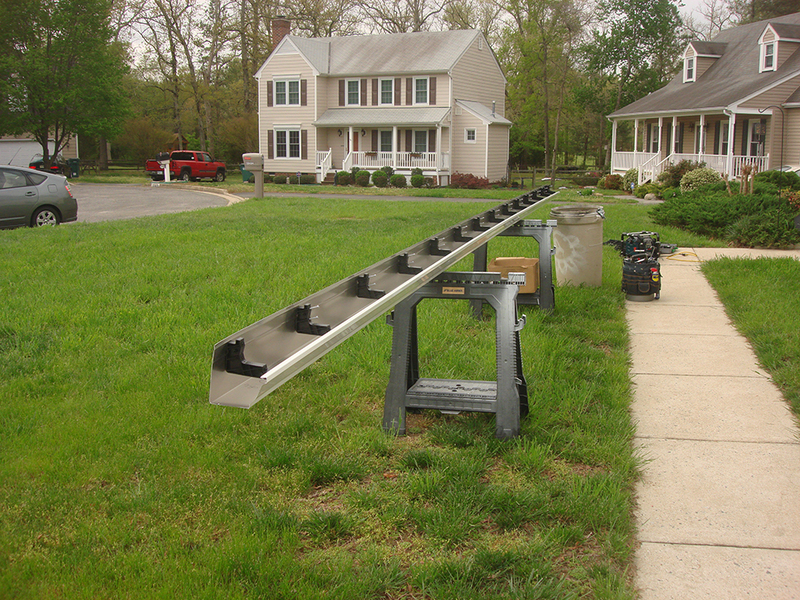 The GutterShutter™ System is the most advanced system on the market. Manufactured from high quality, thick aluminum. 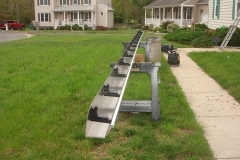 A 6" gutter trough allows superior waterflow with high capacity. As visually appealing as it is strong, GutterShutter comes in 16 long-lasting colors. 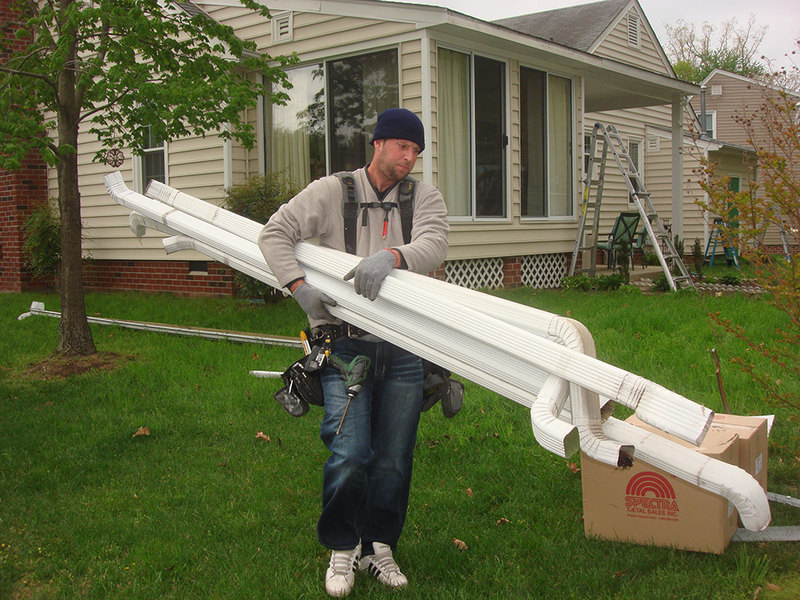 Our exclusive highback system is guaranteed to stay attached your home. 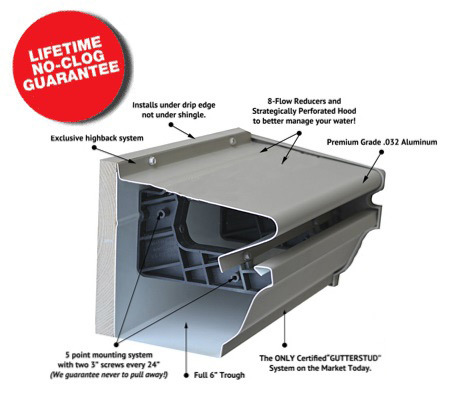 A clog free gutter protection system guaranteed to remain attached to your home as long as the structure exists. 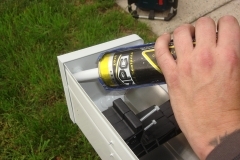 Eliminating the hassle of cleaning out your clogged gutters. A Crown Molding appearance that compliments your home’s architecture and increases its value. 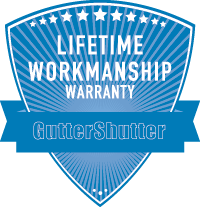 GutterShutter™ will last the lifetime of your home- even if the roof needs to be replaced. 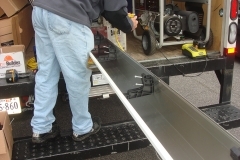 The system is attached directly to the fascia board of your house and will never be clogged with debris or detach. 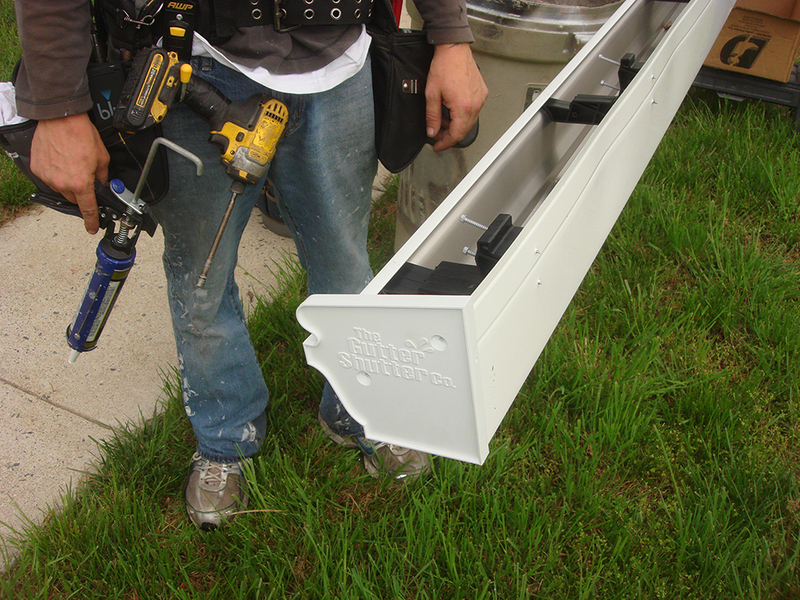 GutterShutter™ encloses and protects the entire gutter. Its sealed with no vertical openings- keeping debris out. There are also no filters or screens to become clogged. 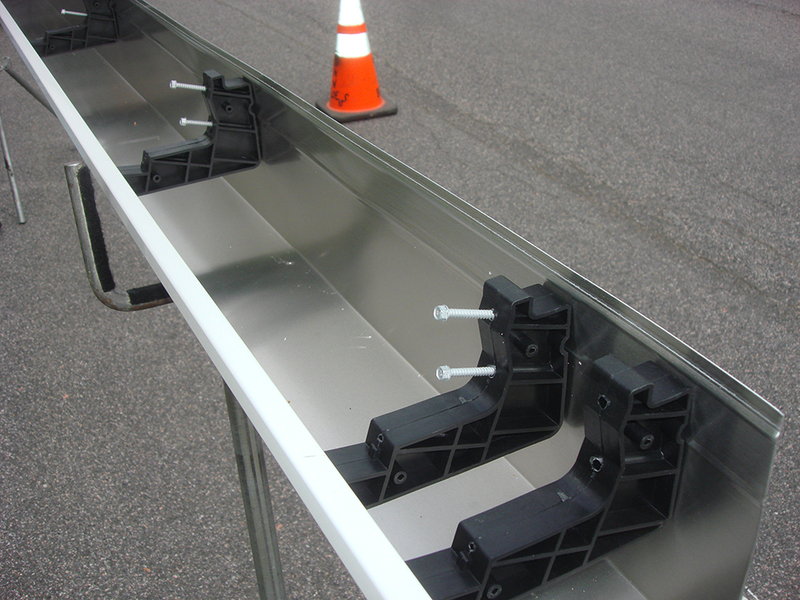 GutterShutter™ was designed with the physical principles of water tension in mind. Rainwater streams around its nose for a consistent flow. 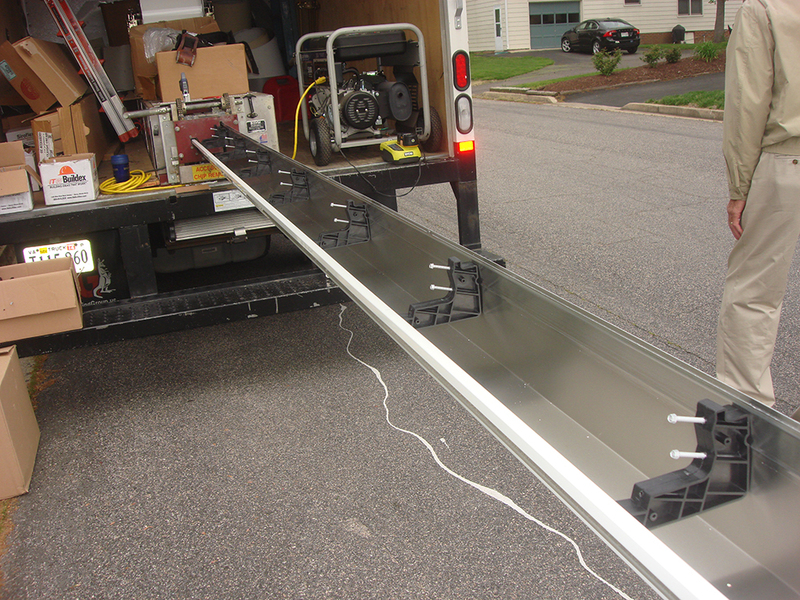 The GutterShutter™ system has the highest surface tension out of any of our competitors. 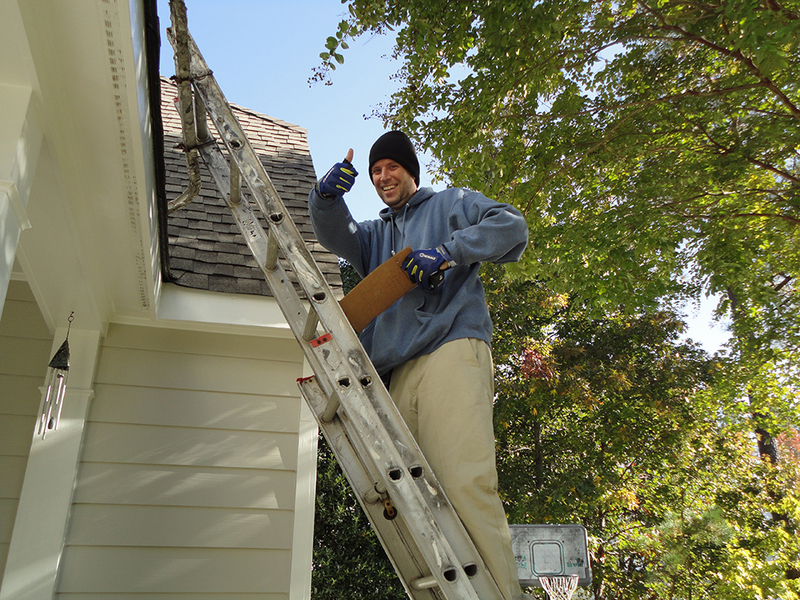 You will never have to worry about the danger of climbing ladders for gutter cleaning. Also, the High Back system provides an aluminum coating which means your fascia will never be at risk for additional rotting. 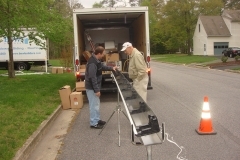 GutterShutter™ works with your existing roofing in Richmond to make it hassle-free. 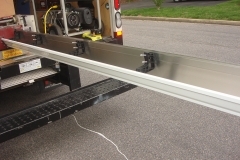 Our patent pending GutterStud - a unique way of attaching to the fascia board- is the heart of the system. 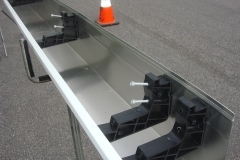 The GutterStud is built from a virgin nylon material that stays firmly in place despite weather conditions. 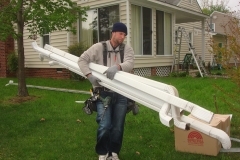 It is applied to the fascia using two 3" galvanized screws, no nails or rivets, spaced every 24" on the board in a vertical fashion, ensuring permanent attachment to the home. 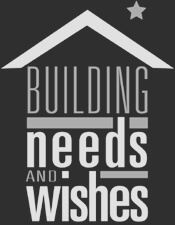 Installation procedures are of the utmost importance on this home feature and BNW Builders uses factory trained applicators with vast experience in our Leaf and Debris Free Systems treatment to ensure your satisfaction in performance. 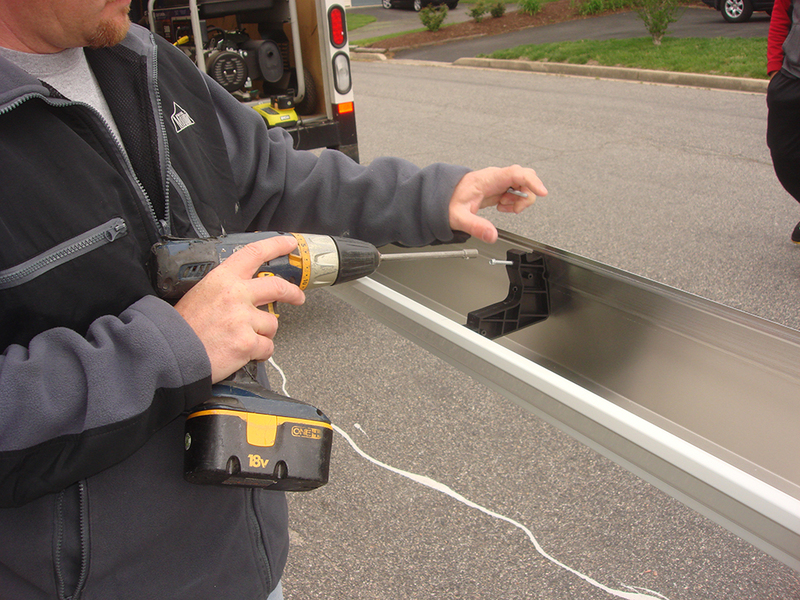 GutterShutter™ completely encloses and protects. 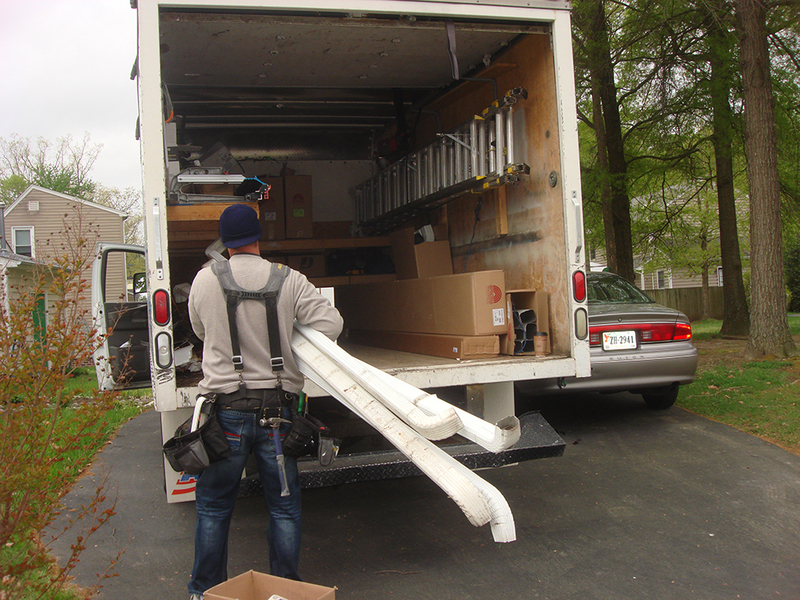 there are no vertical openings for water or clogging debris to enter, and no screens, inserts or filters to clog. Rainwater flows over and around the nose of the GutterShutter™ by the simple physical law of water surface tension. It’s just like the way water clings to the side of a glass when its poured. 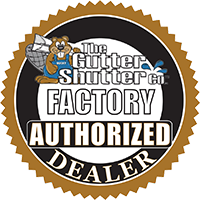 The GutterShutter™ system has more surface tension that anyone in our industry. This will afford you the peace of mind that comes with knowing you no longer will be putting anyone’s health or safety at risk that comes with climbing the ladder to clean your gutters. Your fascia is no longer at risk to additional rotting as the exclusive High Back system ensures your board is covered in aluminum adding to GutterShutter’s™ water management features. Will GutterShutter void my roof warranty? The simple is answer is NO. 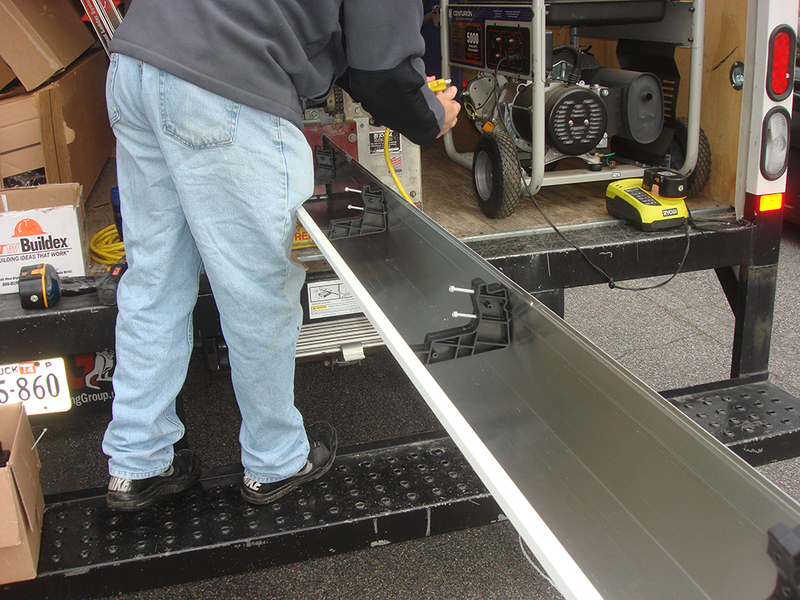 GutterShutter attaches directly to your fascia board which is an approved method by all roofing manufacturers. 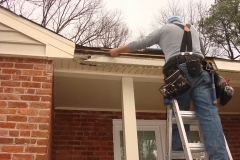 Any gutter protection system that breaks the seal or penetrates the roof shingle will void your roof warranty at that point. 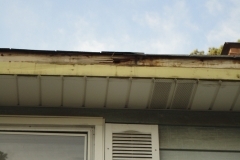 Does GutterShutter have to be removed and reinstalled if I get a new roof? The simple answer is NO. GutterShutter attaches directly to the fascia board. How is it attached to the fascia board? 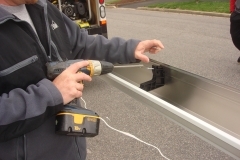 Because the method of attachment is the most important part of any gutter system, the GutterShutter system attaches to the home using our unique, patent pending GutterStud, the heart of the system. 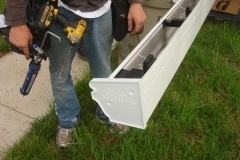 Unlike typical systems that use an inexpensive plastic or glass filled polypropylene bracket, the GutterStud is made mostly from a virgin nylon material which will not shift due to material breakdown because of weather conditions and is applied to the fascia using two 3″ galvanized screws, no nails or rivets, spaced every 24″ on the board in a vertical fashion, ensuring permanent attachment to the home. 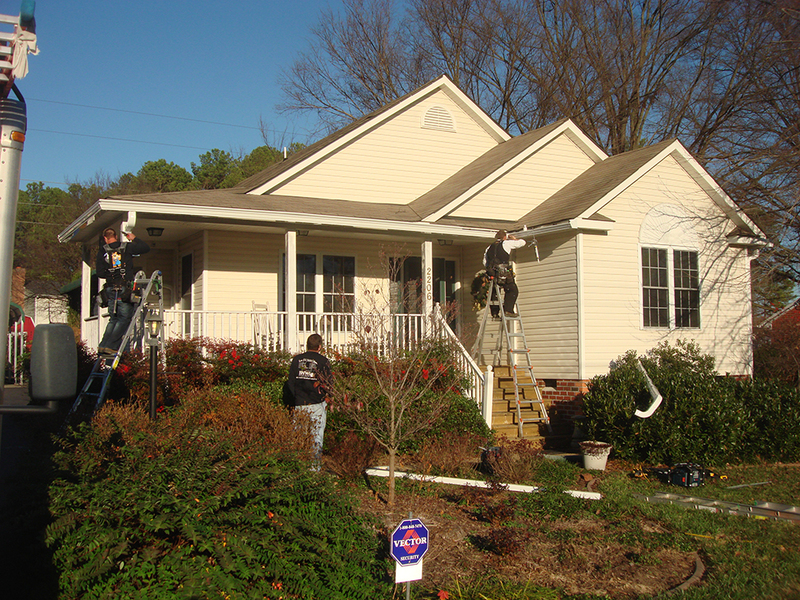 Installation procedures are the utmost importance on this home feature and the GutterShutter users factory trained applicators with the vast experience in our leaf and debris free systems treatment to ensure your satisfaction in performance! 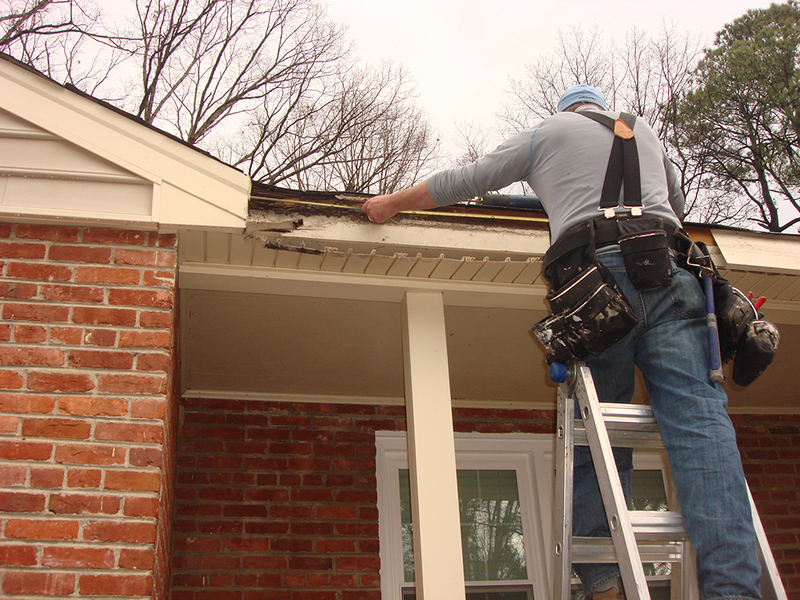 Will clog-free gutters work on my steep roof? 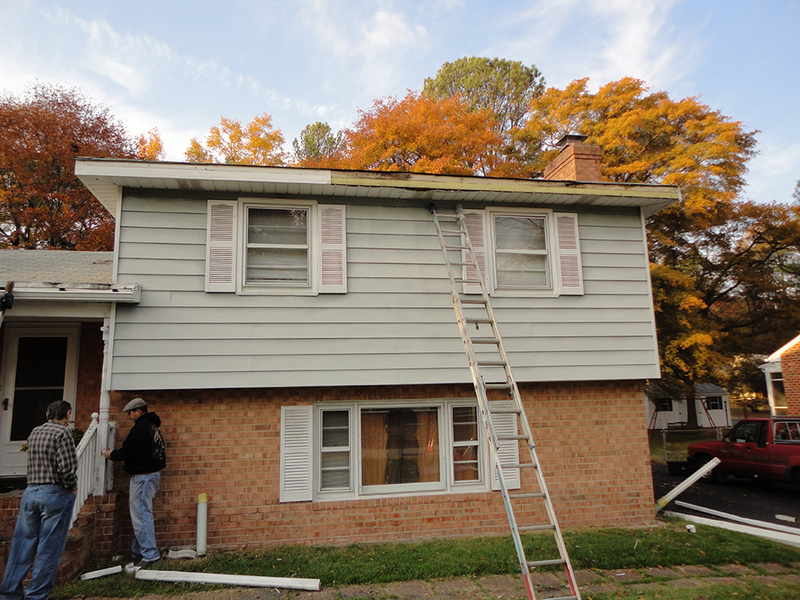 The steeper the roof, the better GutterShutter performs. The funny thing about roofs is that the steeper they get, the less water they catch. A flat roof catches all of the rain that falls over it. As you begin to tilt a flat roof upward, angling its surface to the rain, you reduce the surface area that can catch rain and reduce the total amount of rain to be handled by the gutter. Granted, the water that is caught will flow faster but, fast water flow has no effect on how GutterShutter performs. 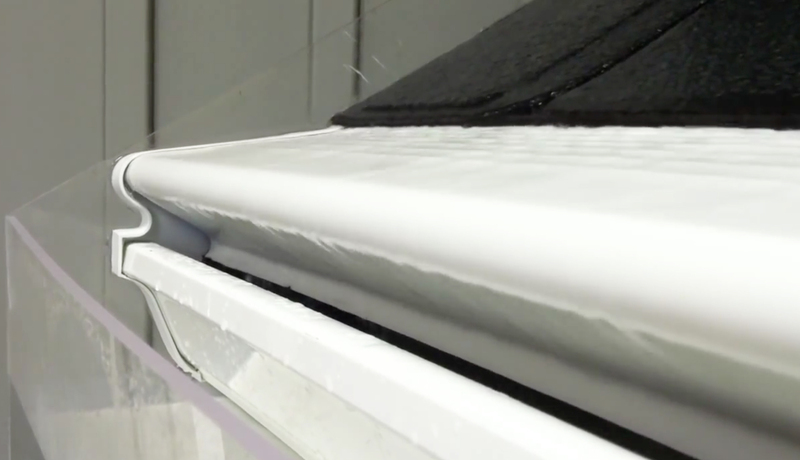 In heavy rain, will water just spill over clog-free gutters? 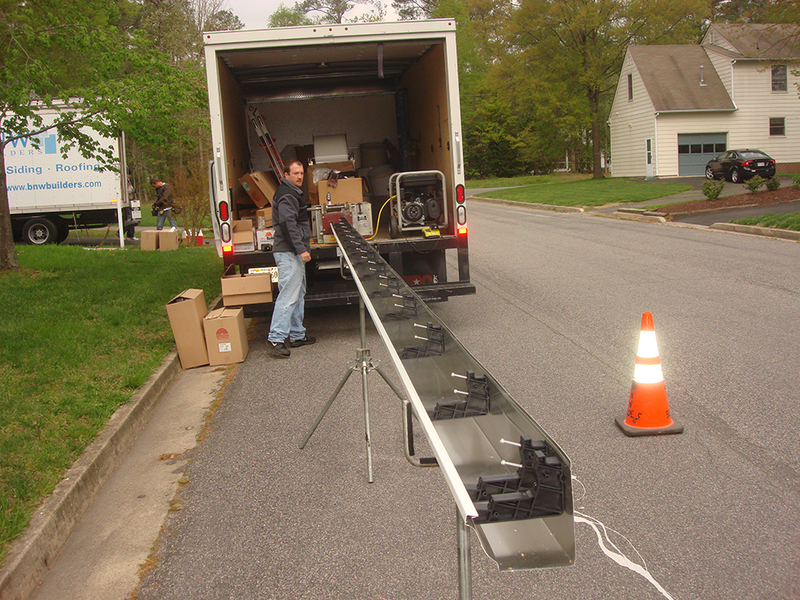 The GutterShutter system has been designed and tested to handle the heaviest rainfalls. 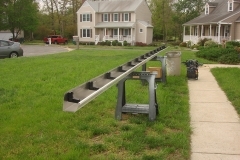 The hood of the GutterShutter system has flow reducers that slow the water coming off your roof. However, it's the principle of surface tension that keeps the water flowing into the gutter. Surface tension isn't affected by the amount or speed of the water flowing so even in the heaviest rainfalls, GutterShutter works great. What if I still have to get on the roof for general maintenance of my home? 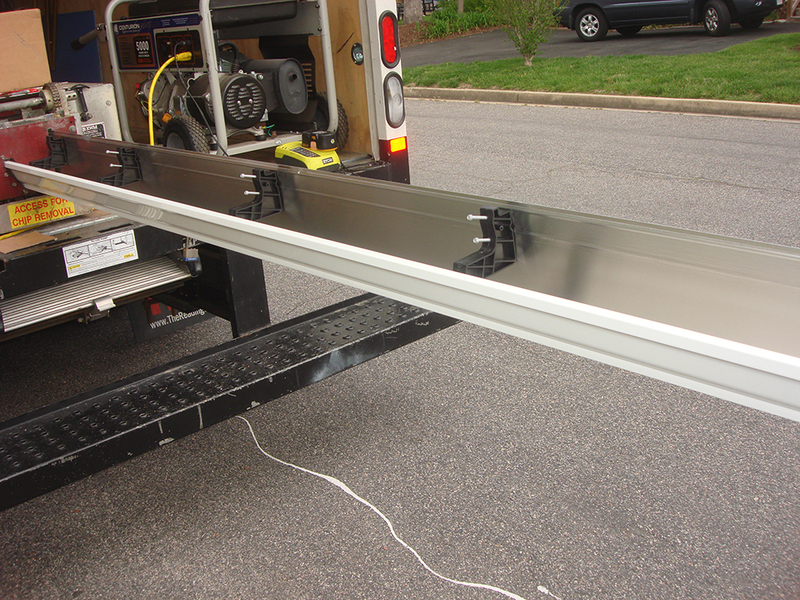 The GutterShutter system is made with 0.032″ thick aluminum, the strongest application used for a residential application. Standing on a ladder or other similar device against the GutterShutter system not a problem. 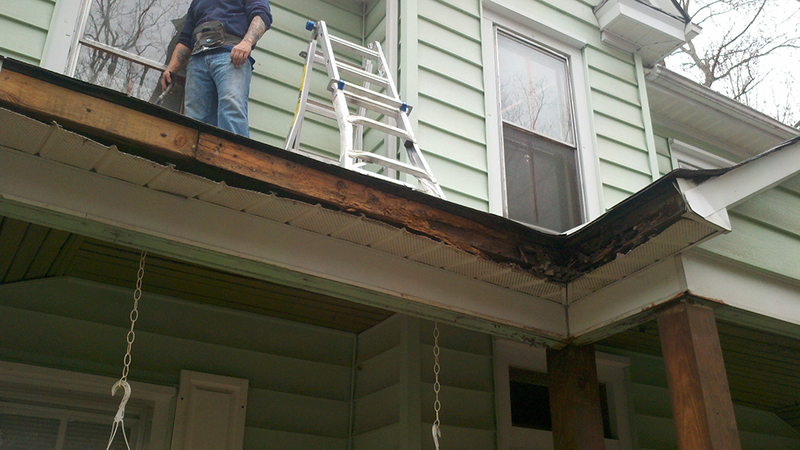 Do old "One-Piece" gutters still make sense? 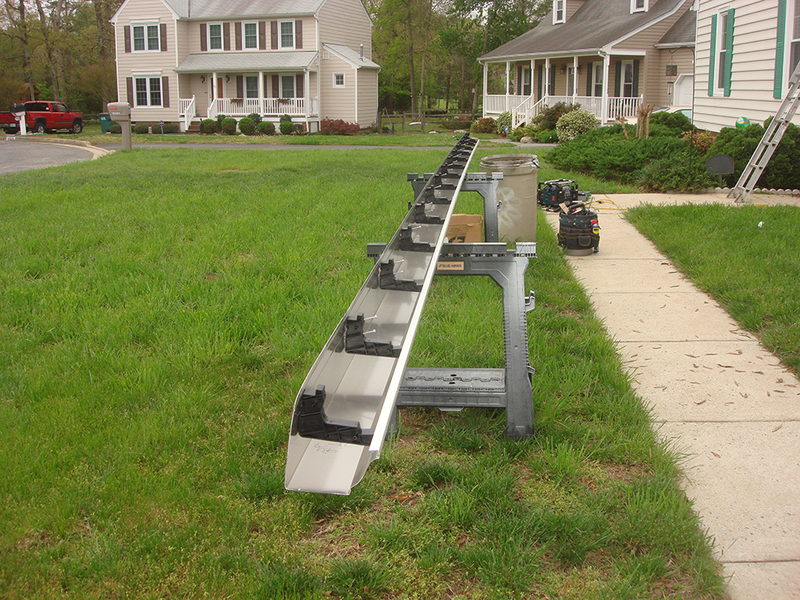 When it comes to covered gutters, one-piece designs just don't make sense. Because the top and bottom are made in one- piece, if either piece gets damaged they both have to be replaced. 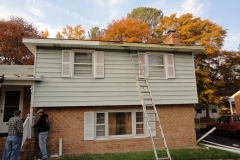 And because the top isn't removable it's very hard to clean or service the gutter. 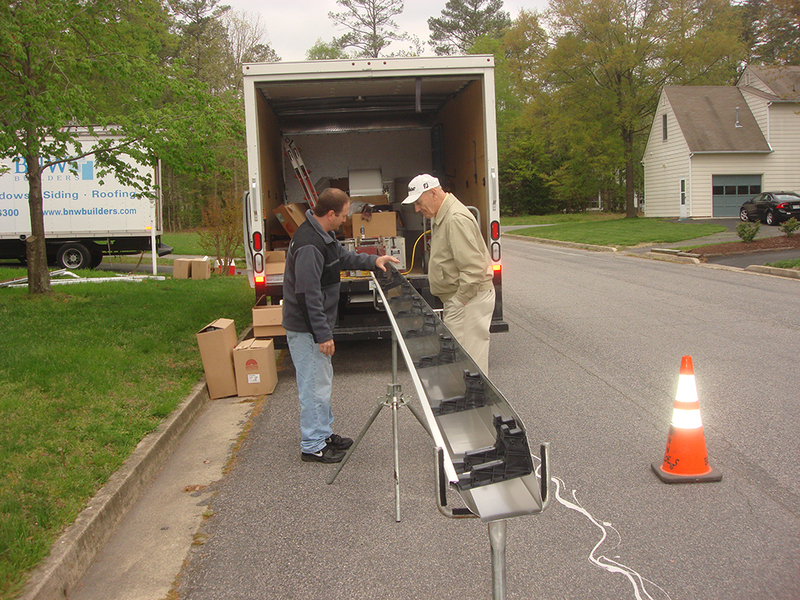 The newest state of the art integrated gutter systems use a two-piece technology. 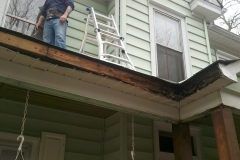 The top is a separate piece that can be replaced if damaged without replacing the seamless gutter. One type uses a snap on hood but snap on hoods can be easily damaged or blown off in high winds. 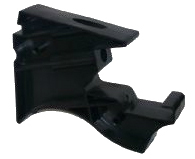 GutterShutter's two-piece design secures the separate hood to the bracket and trough. The secured hood is very strong, can't be blown off by the wind and allows easy access if service is ever needed. 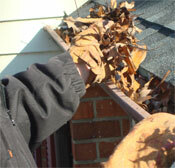 Will using your old gutters will save you thousands of dollars? 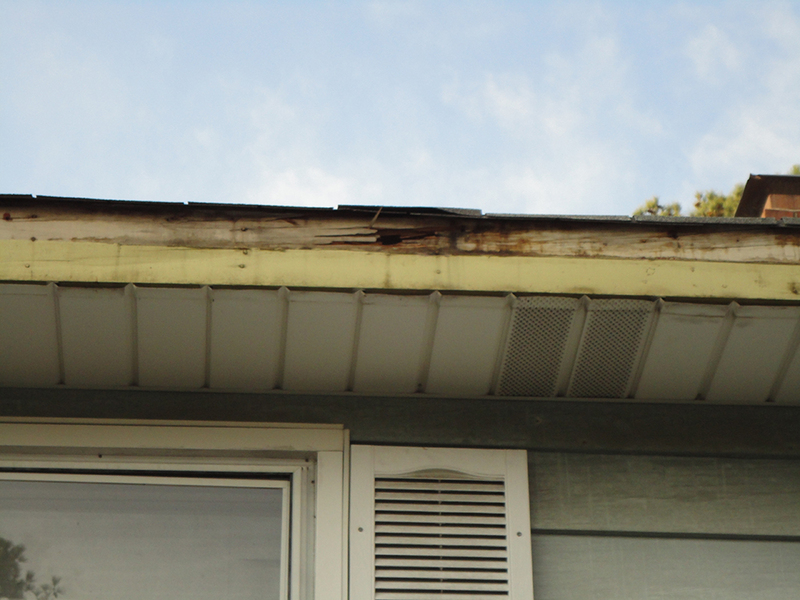 It's more likely, over time, that your old gutters will cause as much as 10 times their value in home repairs because of poor design. It just doesn't make sense to keep them. Companies selling products that use your old gutters want you to believe that you're going to save a lot of money. 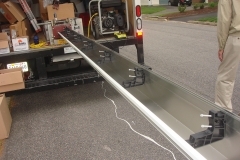 The truth is you can install a complete GutterShutter system for the same or less money. 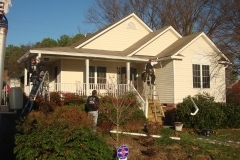 Ask your GutterShutter representative about our "Best Value Guarantee".